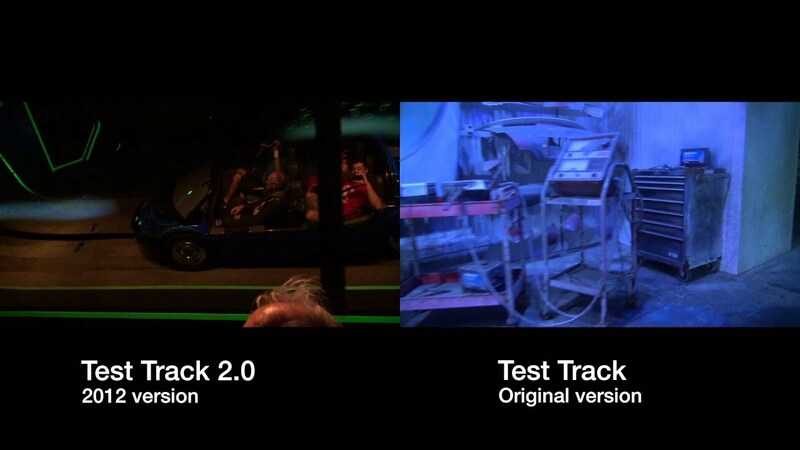 Oct 27, 1998 in "Test Track"
Chris Caines was lucky enough to take a tour around the inside of Test Track, and gave us this excellent report of what we can expect! The entire pavilion is about car safety and showcases what GM does to make sure that their vehicles are as safe as possible for their consumers. It seems that the shelter that has been used to showcase GM's cars since WoM closed is going to be an outside queue area. 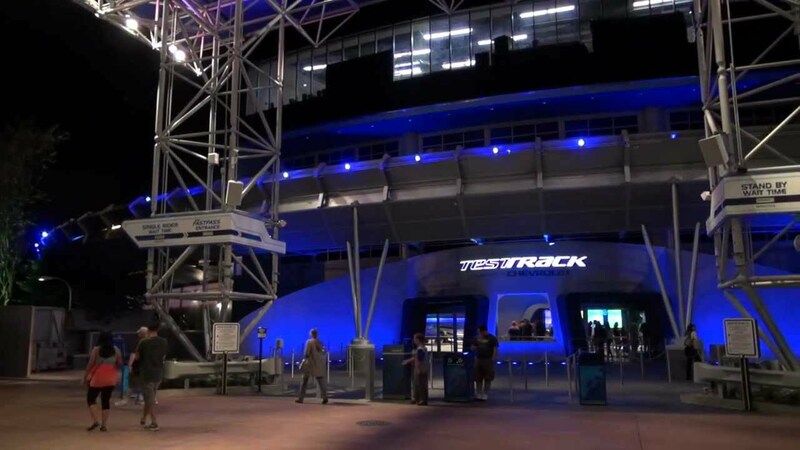 When the construction walls were moved (see past Test Track posts) interactive kiosks were installed in various places. The "interactive" part isn't out on display yet, the kiosk stands are. Also outside, Crash Test Dummies will interact with guests. Very nice. 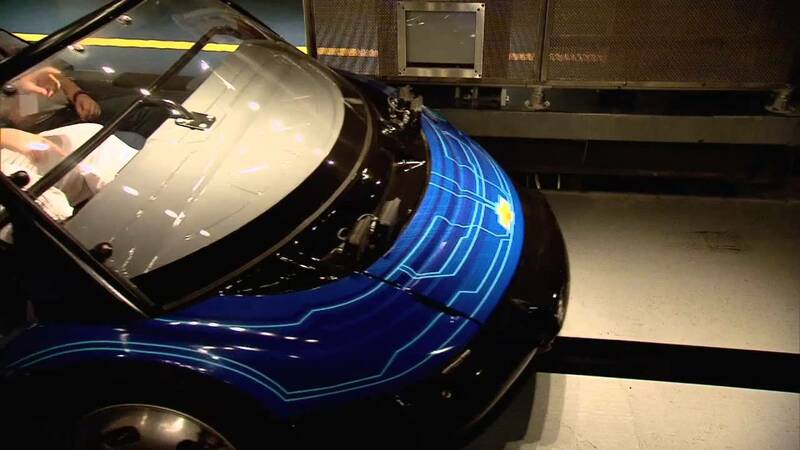 At the beginning you will see how early cars were tested for safety. Then as you wind your way in and around different displays you will see how different areas of the car are tested for crumple points, stress, etc. As you reach the end of the queue, the dummies are being tested (like whiplash tests, knee impact tests, etc). Inside queue will be about 30 minutes long. Lots of things to look at all around you (including above you). A Model T from WoM is in here (look for it). The inside queue serves as a very good pre-show/queue. You will be grouped into one of 3 briefing areas. Inside are pictures of various test tracks that GM uses across the country. there are also 3 monitors inside that will show you what type of tests you will be conducting in your car and also go over safety instructions. Interesting note about the queue areas: It can be totally accessed by all types of wheelchairs! Once you exit the preshow briefing you enter the load area. It is similar to exiting the library door in Tower of Terror. There is a really small queue, but you will not be in it very long. It is about 50-75 feet long max. Also there is a mockup of a car along one wall. This mockup allows the guests who may be travelling in wheelchairs to practice entering and exiting the vehicle before they actually get to the vehicle. Lots of sandbags were laying around... for the vehicle tests. Once you unload the first thing you run into is the wall of monitors that show the picture that you may want to buy. You will purchase the picture there. there is also a designated area for child-swap parents to wait. You then enter a room where parts are being assembled and there are various monitors telling you about teamwork, safety, etc. Think the droid room in star tours here. There are engines on belts overhead.. they go into one area w/o oil pans, come out with them on. Doors being worked on etc. There is even a die-press machine that is a very good effect.. kudos to WDI on this one (I'm not going to give it away, but it is an excellent effect). Also the room makes perfect use of mirrors to make it look HUGE... great work WDI on this optical effect.. especially the signs (again.. I'm not going to give this away). Then there are the standard showcase areas. I'm not exactly sure what is going to be in these areas. I know there is an audio area. Plus there is a really large showcase type room with 2 huge turntables and 3 videowalls. There is an area for oversea cars to be shown. To keep in standard Disney Attraction tradition, you exit through the gift shop. Nice Test Track merchandise available (well some of it is nice.. some of it is bad) and a lot of merchandise with the different logos from various GM automobile lines.